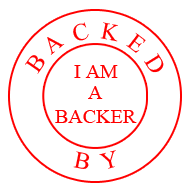 Renewable energy is one of the best and rising technologies that I pledge for on Kickstarter. This project in particular is among my favorite at the moment. A portable wind turbine with a built in rechargeable battery is just what the mother nature ordered! I know that I will use this often in the spring and sumer at the beach and local state park, now I can relax outside, have a barbecue and have my speakers going on free energy with the Trinity Portable Wind Turbine. The applications for the Trinity are endless and the benefits and amazing. Camping, out at the state park, pick nicking, out on your backyard, apartment/condo balcony, and anywhere you can set it up to collect free energy! Lets try and help them reach their stretch goals and make this product a reality, pledge here and share it with everyone you know who will benefit from having one of these. Below I have included their entire post and video for you. Trinity is a portable wind turbine that charges any USB device like your smart phone or tablet and folds together into a 12” cylinder. Trinity is a portable wind turbine that charges any USB device like your smart phone or tablet. Trinity folds together into a 12” cylinder that you can carry with you wherever you go. Trinity has a 15W generator and a built in battery that holds 15,000 mAh It’s extremely simple to operate Trinity. To open the three blades you simply pull out the 11” aluminum legs and arrange them in either a tripod configuration or laid flat depending on your circumstances. To close Trinity you push the legs back in and the blades close automatically. On the bottom Trinity has a USB plug to charge you devices and a mini USB plug to charge Trinity in a wall socket. Trinity - The Portable Wind Turbine Power Station is Patent Pending. The short battery life of most phones and tablets can be really frustrating. With Trinity you have the freedom to charge your USB devices anywhere in the world with sustainable energy. Your phone, your tablet, these small things contain so much information we need constant access to. It gets rough when your phone is out of battery, especially when you are nowhere near electricity. You might be camping with the family or taking a long hike with your friends, you need to stay connected. Our phones can also be important for our security in case of emergency. TRINITY is easy to carry with you and works everywhere, it fits as well in your bag as in your hand. TRINITY’s unique design allows you to charge your smart phone up to 4-6 times before it has to be recharged either by itself (using the wind) or simply plug it into a wall output so it can be fully charged before you leave your home. We recommend using the power of the wind, for clean energy. Trinity has three blades that can be opened and closed. The blades allow the device to capture the wind and spin, which then generates clean energy. The wind turbine charges the 15000 mAh batteries. The turbine placed inside the middle of TRINITY can generate up to 15w. Folded Inside there’s a tripod that is pulled out and helps Trinity stay steady. When the tripod is folded in it locks the blades in a closed position. Our goal was to make TRINITY easy to operate. The first step is to pull out the legs that can be arranged as a tripod or laid flat, depending on your circumstances. When the legs are out the blades will open. On the bottom of Trinity you will find a USB plug and USB mini plug. The USB plug allows you to charge your devices and the USB mini plug allows you to charge Trinity. Simply plug your USB cable into the USB on Trinity and continue using your device. Order the limited edition for a unique color that suits your style. We understand the role sustainable energy holds for our future and the importance for humans to live in harmony with nature. When designing Trinity we looked to nature and natural law. After building and installing a horizontal axis turbine we started looking into a better design and came to the conclusion that a vertical axis turbine was better suited for smaller wind turbines. Our vertical axis design was chosen so Trinity could capture the wind coming from any direction. We wanted to make it portable and sleek. something you can put in your bag and take with you everywhere as we have been doing with our prototypes. Bringing the design to where it is today came with many challenges such as fitting everything in such a compact package and turning a tube into a tripod. Trinity has changed enormously from the first drawings and first rough prototype to where it is now. We are a research group based in Minnesota, USA. Our company goal is to develop products that can restore the balance between humans and nature. Coming from two generations of electricians Einar Agustsson and Agust Agustsson wanted to built upon that knowledge and combine with their business education to progress sustainable energy technology and create something new. Compatible with: Apple, Samsung, HTC, Motorola, LG, GoPro and most others USB devices. Acer, Asus, Dell, HP, Lenovo, Sony, Toshiba and other laptops and notebooks (After reaching $75,000). We are at the end of our development and we need your support to complete the process and start production. There's a chance you are eligible for a new solar rebate program.